WHO WANTS TO CYBER WITH PODCAST 330? Hey everyone! Welcome to the most Cyber Monday podcast to ever be uploaded on a Tuesday! Watch us talk about our awesome Black Friday, our "leaked: Star Wars trailer and the "real" new Star Wars trailer! Plus, we talk about Pomplamoose... so that's exciting!Click here for the audio version! That's all for now, come back soon for so cool updates! 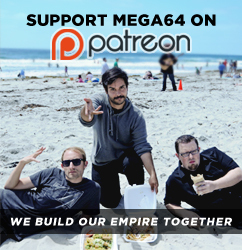 and if you haven't had a chance yet, order out Mega64 Time is Running Out!!!! !